There are many unique, fun-to-celebrate holidays and famous firsts in September. 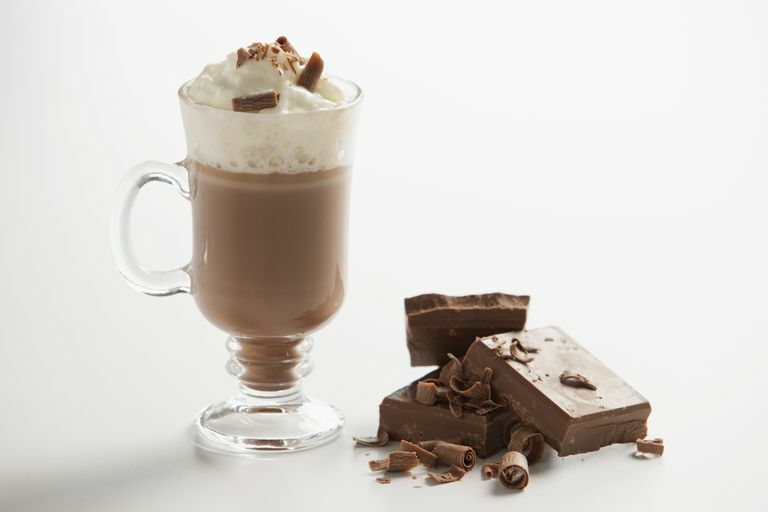 One of the tastiest is National Chocolate Milkshake Day on September 12. Yum! Try the following chocolate milkshake recipe along with lots of free printables and coloring pages to celebrate special holidays in the month of September. September 12th is National Chocolate Milkshake Day. Celebrate with a yummy chocolate milkshake. Make your own and enjoy while coloring the picture. Enjoy a hot dog for National Hot Dog Day on September 10. What do you like on your hot dogs? Oscar F. Mayer, founder of the Oscar Mayer meat-processing company, was born in Wurttemberg, Germany, on March 29, 1959. He began selling bratwurst and liverwurst with his brother in Chicago in 1883. It was nearly 20 years later when they began labeling the meat with the Oscar Mayer logo. September 13 is National Peanut Butter Day. Celebrate with a yummy peanut butter and jelly sandwich as you learn about this tasty legume. Did you know that peanuts grow underground but are not a root? The peanut plant produces flowers on slender stalks near the base of the plant. After fertilization, the flower stalk curves downward and the developing fruit is forced into the ground. The peanut pod actually develops underground. The Boston Light was the first light station established on the North American continent. The light was lit for the first time on September 14, 1716. A cannon was America’s first fog signal. The Boston Light was destroyed in the Revolution and rebuilt in 1783. The Boston Light is also our only lighthouse that still has an official keeper. Print the pdf: Star Spangled Banner Page and learn the lyrics to our National Anthem. On September 14, 1814, Francis Scott Key wrote "The Star-Spangled Banner" after witnessing the British bombing of Ft. McHenry during the War of 1812 - and the flag was still standing! The Star Spangled Banner formally became the national anthem with the signing of an executive order by President Woodrow Wilson, followed in 1931 with President Herbert Hoover signing a Congressional act. This copy of the Star-Spangled Banner was published around 1830. American Publisher, John Cole, was the first to include a picture on the title pages of his sheet music. In 1984, Joe Kittinger became the first person to make a solo crossing of the Atlantic Ocean in a hot air balloon. He set out from Caribou, Maine on September 14, floated 3,543 miles and landed in Cairo Montenotte, Italy, on September 18, 1984. The Mayflower left Plymouth, England on September 16, 1620, headed for the New World seeking religious freedom and the freedom to continue using their native language, culture and customs. There were 102 passengers of men, women, and children aboard ship as well as a crew of 25-30. The journey took 66 days and they arrived at the tip of Cape Cod on November 21, 1620, and eventually settled in Plymouth, Massachusetts. This wasn’t their original destination as they had permission to settle elsewhere. What settlement were they originally headed for? On September 17, 1976, NASA introduced the first space shuttle, the Enterprise, at a ceremony in Palmdale, California. After many years of testing, four other shuttles were built: Columbia, Discovery, Atlantis and Challenger. The Columbia was the first Space Shuttle launched on April 12, 1981 with a crew of two astronauts, John Young and Robert Crippen. After 9 successful missions, tragedy struck when the Challenger exploded in flight and an entire crew was lost. The program was suspended for a while, but resumed again with the Endeavour replacing the Challenger. Would you want to take a trip on a space shuttle? The last mission of the space shuttle lifted off on July 8, 2011. You might also enjoy free Solar System worksheets and coloring pages. On September 17th, 1787, the Constitutional Congress held its final meeting with only one thing on the agenda - to sign the Constitution of the United States of America. The Constitution is the supreme law of the United States. Have you memorized the Preamble to the Constitution yet? On September 18, 1793, George Washington laid the cornerstone of the United States Capitol Building. The United States Capitol is home of the Congress and the House of Representatives. September 20th is National Punch Day. Try this simple and tasty punch recipe while you complete the coloring page. The USS Constitution, a 44-gun frigate, was one of the first three naval ships built by the United States. It won brilliant victories over British frigates during the War of 1812 and is, without doubt, the most famous ship in the history of the United States Navy. It has been rebuilt and is anchored in the Charlestown Navy Yard in Boston. How did the USS Constitution get her nickname, Old Ironsides? On September 20, 1519, Portuguese navigator in the service of Spain, Ferdinand Magellan (1480-1521) set sail. He commanded an expedition that was the first to circumnavigate the world .